Peripheral vision is what we see to the side of us while looking forward. For instance, if you are focused on a movie or speaker onstage and movement in the audience distracts you. Click here for a 90-second video explanation and test how good your peripheral vision is! Poor peripheral vision is sometimes mistaken for ADHD because it can affect reading, writing and social skills. To read, our eyes must be able to track words across a page. A person with tracking problems cannot locate the next group of words in his peripheral vision to coordinate with the current group of words being read in his central vision. This leads to eyes jerking around the page, going back and forth between lines, skipping words or repeating them. It limits comprehension and adds frustration to reading, producing a short attention span, which is then often misdiagnosed as ADHD. Another common hindrance of peripheral vision is when a person’s eyes don’t function together as a team. If the eyes don’t work together simultaneously, they send varying images to the brain, causing confusion, blurred vision, poor depth perception and a lack of comprehension for what is being seen. Most individuals don’t realize their eyes aren’t working together, causing them to sometimes shut down their peripheral vision subconsciously in an effort to block out at least one conflicting image. Both of these vision problems, as well as others which contribute to peripheral vision issues, can be diagnosed by a developmental optometrist and improved with vision therapy, individualized programs that encourage the eyes to work as they should. These problems are normally not detected in a regular eye exam, which tests only basic vision aspects. Children with neurological issues may have a restricted field of peripheral vision, yet pass a general visual acuity test, which checks only central vision. These children often experience developmental delays and have difficulties with mobility, reading & spatial awareness. The health of your peripheral vision should not be ignored. It is best to have an eye doctor, such as a developmental optometrist, examine your eyes for signs of disease, as well as administer a vision field test to identify any blind spots in your peripheral vision. A developmental evaluation can determine if there are tracking issues, eye teaming troubles or other vision problems causing peripheral vision restrictions. Diseases must be treated as soon as possible to prevent further damage. With certain types of peripheral vision loss, a lens called a “prism” can be added to an eyeglass prescription to expand the field of view. 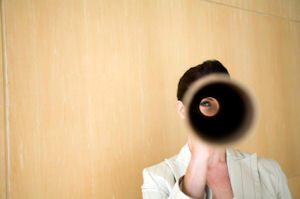 With many diagnoses, vision therapy can be beneficial to help regain some or all vision loss. If you have concerns about your peripheral vision, please contact us! We have experience in diagnosing all of the above-mentioned eye diseases, as well as success with vision therapy programs improving peripheral vision for children and adults alike. The following is a true story about a local child who struggled with schoolwork due to a short attention span and a poor attitude about school. After vision therapy with a developmental optometrist, David’s grades and attitude toward school improved, as well as his ability to play sports and enjoy life more fully. With the names changed, this true life account is taken from the case files of Dr. Julie Steinhauer of Vision For Life in Glen Carbon, IL. “David was having a hard time with school. He struggled just to get through the day and was exhausted when he came home. He spent twice as long doing his homework and became very frustrated with school and his ability to do well. I knew something was wrong. He had always been a very happy child and did very well in school. Of course, that was before he was really required to do a lot of reading. When we had his vision checked, everything seemed normal. Little did we know, [20/20 doesn’t necessarily mean a child’s vision is normal].” – David’s mother. David was also sad, frustrated and moody about school. He took a very long time to complete homework and was exhausted afterwards. He even developed mouth sores from the stress of trying so hard. His mom was near the breaking point of trying to figure out what was wrong with him. After a thorough developmental vision exam, it was discovered David had multiple vision problems, including convergence insufficiency, strabismus, suppression, and trouble with visual discrimination and memory. These issues are some of the most common vision problems people can have and not be aware of. These diagnoses meant David’s eyes were not focusing together, and one eye was doing most of the work, causing stress, a short attention span and exhaustion from the effort. Because of this, he had trouble comprehending what he was reading, making everything unnecessarily difficult for him. David’s frustration affected all levels of his learning, as well as his ability to play sports, which required eye-hand coordination. Nearly 1 of every 4 children has a vision problem which causes them to perform below their ability in school. Because most children are not taken to the doctor for a developmental vision evaluation, their problems often go unheeded. Many children are misdiagnosed with ADHD, due to a short attention span or hyperactivity, which are common symptoms of undetected vision problems. A regular eye exam is not sufficient to reveal this information, as it is primarily to check distance vision and disease, while devoting only a few minutes to near vision. The majority of your child’s schoolwork is done with his near or reading vision. A thorough evaluation of this will take up to several hours of testing. The average person cannot diagnose these problems by looking at a child’s eyes or watching his performance; nor can an unqualified professional judge reading vision in a few moments. When deciding upon a doctor to examine your child, check for credentials in vision development. David committed to a program of vision therapy which included games and exercises to help train his eyes to work together properly. Tools such as a balancing board, balls, cards and computer games were used. Had these vision problems remained untreated, David would likely have continued to be an average student who struggled in school and was slightly uncoordinated in sports. It is even possible he would have become a troublemaker later in life due to low self esteem. There is not a better time or reason to have your child’s vision thoroughly evaluated, particularly if your child is experiencing any of the above symptoms or trouble with schoolwork. A complete visual evaluation by a developmental optometrist can reveal if vision problems are the cause of homework difficulties or behavioral issues. Vision therapy can improve your child’s life, as well as your own, so why wait? 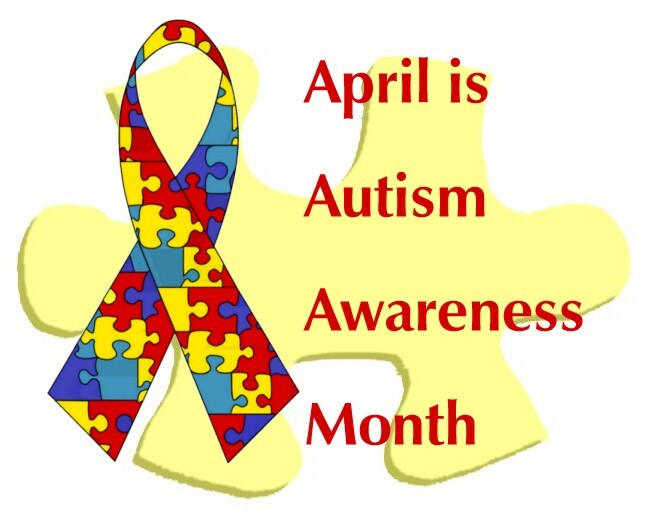 Autism is the fastest-growing serious developmental disability in the United States, affecting 1 in every 88 children and 1 in 54 males, according to Autism Speaks. It is the most common, severe condition in the Autism Spectrum Disorder, a range of developmental disorders that affect communication, social interaction and sensory skills. Autism shows no respecter of persons – no racial, ethnic, financial, education or social boundaries – except being 5 times more prevalent in boys than girls. About half the autistic population is non-verbal and up to 80% intellectually challenged. A few are gifted with incredible artistic, mathematical or technical abilities. Although many organizations offer support and information, there is currently no known cure, explanation or cause for autism. However, there are structured therapies and programs which can teach skills and lessen symptoms. Autistic children can pass the 20/20 eye-chart examination because it only checks distance vision. Most autistic vision problems are near-vision skills and must be evaluated in a developmental vision exam. A developmental optometrist will analyze skills by having the autistic child wear glasses or prisms while performing simple activities such as sitting, walking, throwing or catching a ball. There are documented cases – I have had two such patients myself – in which autism was the incorrect diagnosis. Undetected vision problems were creating and mimicking autistic symptoms and behavior. Following a proper diagnosis and vision therapy, these children now lead normal lives. Even if the autism diagnosis is correct, vision therapy can improve symptoms and encourage social and communicative skills. Therapy would include games and activities using lenses, prisms, balls, and other objects to train the eyes to work more efficiently together. Performance lenses can also enhance vision skills. If your child is autistic or exhibiting symptoms, please contact us for more information or to schedule an appointment. We’d love to help! The 3-D movie Avatar overtook Titanic as the top-grossing worldwide release of all-time. After spending 7 weeks atop the box office world, Avatar also beat out Titanic as the highest-grossing domestic box-office release in U.S. history. However, more than half of people aged 18-38 who went to the theater were not even able to enjoy the 3-D special effects, due to vision problems. According to a New York Times article, a number of viewers complained Avatar gave them headaches, blurred vision, eyestrain, nausea, dizziness, and other symptoms like motion sickness. The article states incorrectly that this cannot be prevented. In fact, if you were unable to enjoy the 3-D effects or experienced any of these symptoms while watching the movie, it is likely you have a vision problem that is treatable. To achieve three-dimensional (3-D) special effects in a movie, two separate images are projected onto the screen, with each image seen by one eye or the other. The images are then merged into one by your brain, making a third dimension. If the images aren’t recognized correctly by both your eyes, it will be very difficult to merge them into 3-D. Some people experience intermittent 3-D vision, which means one or both eyes can only maintain the fused image part of the time. Thus you could occasionally see the 3-D action, but not for the entire movie. If you have trouble with depth perception, a vision evaluation with a developmental optometrist can reveal the root of the problem. There are three very common vision issues, all treatable, which can cause difficulty seeing in 3-D.
One of every 20 persons has some form of convergence insufficiency (CI), which makes it difficult to align the eyes well enough to see 3-D. About 5% of the population has either amblyopia (lazy eye) or strabismus (eye turn) which makes 3-D viewing impossible. With CI, the eyes don’t converge or cross properly, making focusing difficult and uncomfortable. A person with CI may experience eyestrain and fatigue when reading, doing homework, or computer work. The eyes may get watery or blurry when tired, or the reader may get headaches or other symptoms. Having a lazy eye means one eye is weaker, causing the other to do most of the work. You may be able to physically see the difference in your eyes, or it may be completely unnoticeable to the naked eye. However, if one eye is working more than the other, the images sent to your brain will be altered. When your brain receives conflicting images or only one image, comprehension problems can result, as well as many of the above physical symptoms. 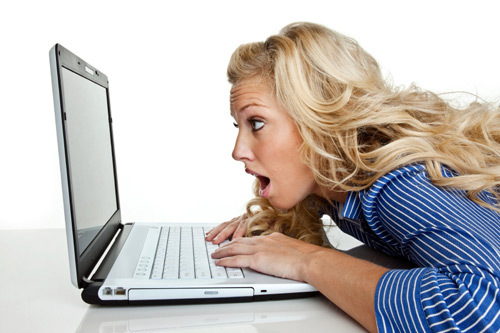 Eyestrain is particularly common because one eye is working overtime to carry the other. Obviously if only one eye is sending the brain an image, you cannot see in 3-D.
With strabismus, if the eye is even just slightly turned from the other, it will send conflicting images to the brain. This can cause eye distress, headaches, and comprehension issues, because two different images are fighting each other. Hyperactivity then becomes a natural response to strabismus, and many children are misdiagnosed with ADHD because of it. Severe strabismus is often noticeable physically, but a slight turn is undetectable to the naked eye and very common. Contrary to popular belief, surgery can only cosmetically align the eyes, it does not correct the vision problem, which causes a disruption in the connection between the eyes and brain. Children with any of these vision problems will often not perform up to their capabilities in school, because homework requires good eye alignment skills. Due to the discomfort caused by their vision, some children will become hyperactive and have a poor attention span or even behavioral troubles. Adults may avoid reading or near work because it makes their eyes uncomfortable. Most of us push the limits of abusing our eyes daily through the visual demands of computers, cell phones, ipods, and video games. If your eyes struggle to work together, you’ll struggle in other areas of your life as well. A developmental optometrist can give a thorough developmental vision evaluation if you’ve experienced any of the above symptoms with your vision. Near vision skills such as focusing and tracking are necessary for homework and computer usage. The standard 20/20 eye chart is outdated and not capable of assessing your near vision skills, as it only checks distance eyesight. If one of the above conditions is discovered, a program of vision therapy (VT) with a developmental optometrist can help you. VT is an individualized program of eye activities and activities tailored specifically to your needs. Many vision skills can be improved with VT, including depth perception, focusing, tracking, peripheral vision, attention skills, comprehension levels, visualization and hand-eye coordination. VT can provide relief for headaches, eyestrain, fatigue, and motion sickness. And if watching 3-D movies is something you’d like to enjoy, VT can help there as well. Hot on the heels of Avatar’s success, Walt Disney Studios has announced that Alice in Wonderland will also be released in 3-D in March. If you missed out on the 3-D effects of Avatar, you still have a chance to enjoy them at the theater. But if you can’t experience falling down the rabbit hole with Alice in 3-D, you should have your vision evaluated to discover why. In recognition of Workplace Eye Wellness Month, here are some tips for avoiding Computer Vision Syndrome (CVS), a common difficulty for people working with computers. Today’s world, like never before, puts tremendous stress on our eyes. From cell phone texting and social media messaging to tablet usage, our eyes are constantly being pushed to their limits. And for those whose job requires using a computer as well, CVS is almost a given. Simply blinking occasionally can relieve eye stress. There are also prescription glasses for computer users to reduce eyestrain. While addressing the physical aspects may offer some relief, it is important to seek a professional diagnosis to rule out any unknown vision issues. Occasionally an underlying vision problem goes undiagnosed because symptoms are mis-attributed to CVS. There are a number of vision deficiencies which can mimic CVS as well as contribute to making it worse. Contact us if you think you have CVS. We’ll give you a proper diagnosis and do our best to relieve your symptoms! Strabismus – What Is That and What Should I Do If I Have It? Strabismus – eyes crossed, wandering or turned different directions – may or may not be physically noticeable, but either way, it affects vision negatively. Eyes evenly aligned send two separate but equal views of the same object to the brain, combining to form a clear visual picture. Misaligned eyes send two separate angles of the object to the brain, creating a third image, usually blurry and difficult to see. 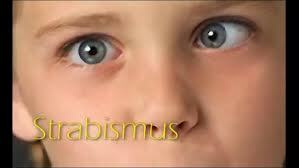 Strabismus can be inherited or caused by trauma or disease. Doctors often recommend surgery to realign the eyes, but this does not help vision. Instead, it deters it by altering the eye-brain connection, causing the patient to work harder to see properly. The result is often suppression of one eye to force one clear picture, thereby weakening both eyes. Fortunately, vision therapy is an excellent option to improve vision and reduce the discomfort of strabismus. Confirm the diagnosis with a developmental vision evaluation by a developmental optometrist. The doctor will then prescribe exercises to train the eyes to work together as a team with the brain. Children and adults can be helped. Call us for information!